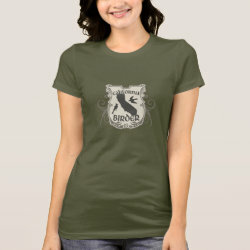 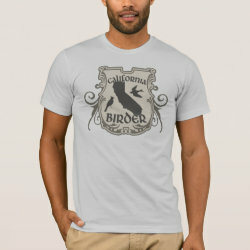 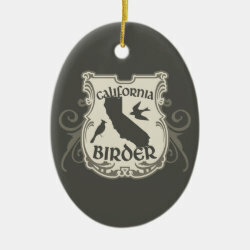 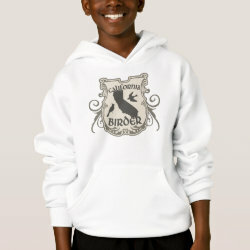 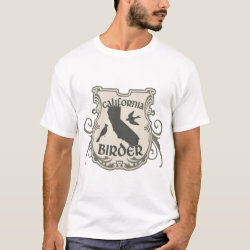 Show your California Birder pride with this original shield-style design! 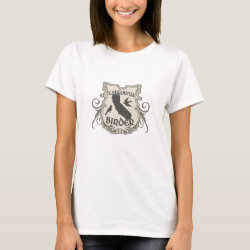 The state is shown in silhouette with a flying swift and perched crested bird on More... either side of it. 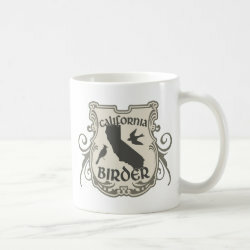 Whether you're a California native or traveling through the Golden State to add west coast lifers to your list, this original stylish design was made for you!